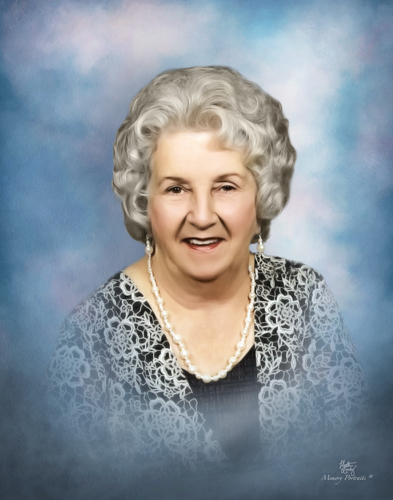 Mrs. Cora McGaha O’Brien, 73, passed away on Wednesday, January 16, 2019 at her residence. Funeral service will be 11:00 am Friday, January 18, 2019 at George Brothers Funeral Service. Burial will follow in Lakeview Memorial Park. Cora was born February 12, 1945 in Franklin, NC to the late Jud Thomas and Cleo Mae Shuler McGaha. She was a member of McLeansville Baptist Church and retired from Lorillard Tobacco Company. She was also a member of the Order of the Eastern Star Liberty Chapter 66 and Past Matron of the Eastern Star. In addition to her parents, she was preceded in death by her first husband, Dwight S. McKee; brothers, JD, Carlos and Bruce McGaha and sisters, Vernice McGaha and Shirley Vanhook. Survivors include her husband, Gene Ray O’Brien, Sr. of the home; children, Randy McKee (Traci) of Summerfield, Theresa McKee Lewis (Jr.) of Stanfield, Gene Ray O’Brien, Jr (Kim) and Patrick O’Brien both of Greensboro; brothers, John C. McGaha (Docia) of Greensboro, Larry W. McGaha (Diane) of Easley, SC; a sister, Beatrice F. Jones (Charles) of Greensboro; 10 grandchildren and several great grandchildren. The family will receive friends from 5:00-7:00 pm Thursday at the funeral home. In lieu of flowers, memorial contributions may be made to Community Home Care & Hospice, 2730 S. Tucker Street #600, Burlington, NC 27215.